Q. 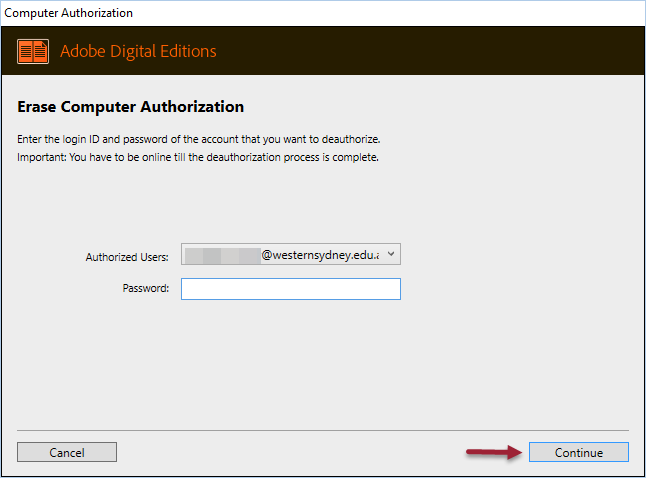 How do I erase my authorization in Adobe Digital Editions (ADE)? Clearing the authorization and authorizing your computer again can sometimes resolve download issues. 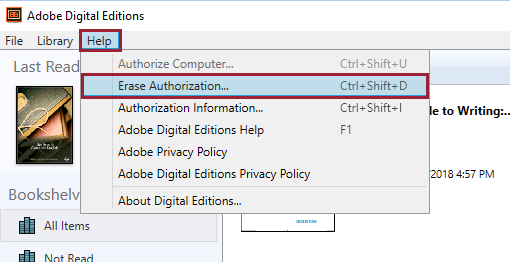 Click OK at the Your Computer Authorization Has Been Erased screen. 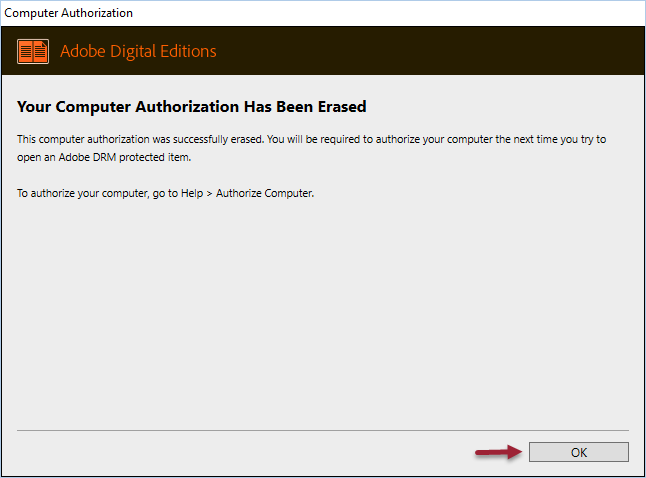 If Erase Authorization is greyed out, this means that your computer is not authorized with an Adobe ID. To authorize your computer, see How do I authorize my computer with an Adobe ID to download my textbook?